Posted by Katy Foley on September 28, 2018 at 11:15 AM. One of the most obvious reasons to have security lights is the personal safety aspect, but it shouldn't be overlooked. For the first time in US history, the 3rd leading cause of death is accidental injury! This is a horrifying statistic for situations that can be avoided if awareness is brought to light- literally! Illuminating driveways, backyards, pathways, steps, porches and around the rest of your home will help to eliminate the possibilities of injuries for you and your loved ones- especially around the holidays when conditions for accidents are at higher risk due to ice and snow. Another reason security lighting is so beneficial is that it can enhance your outdoor entertaining. Without a well-lit area for get togethers, parties with friends and family have to come to an early end when you run out of natural daylight. Placing security lighting around the home can double as accent lighting so the setting is only amplified as the night creeps in with a glow that boosts the mood! Outdoor lighting with warmer, ambient tones is inviting and encourages guests and hosts alike to get comfortable and enjoy the evening. 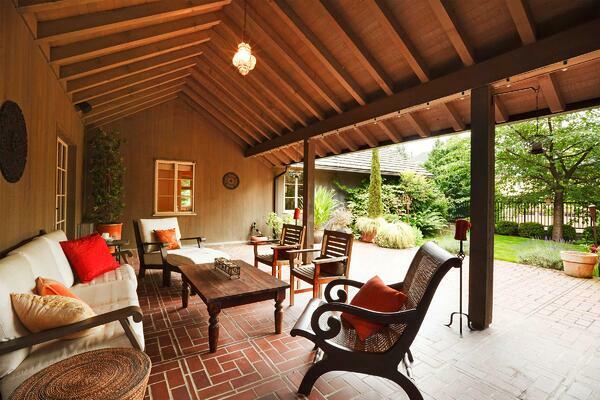 For fun ideas on how to update your outdoor entertaining space , check out this blog. 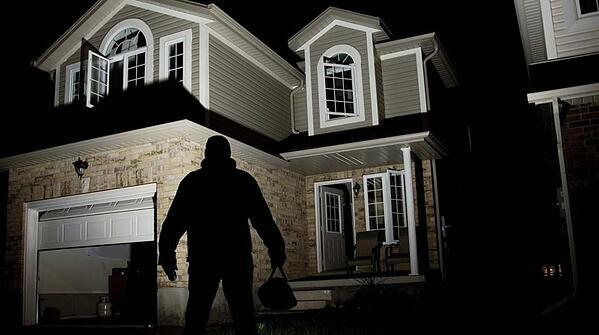 Burglaries are a serious concern to homeowners, as the FBI states they are the most common threat to homes. 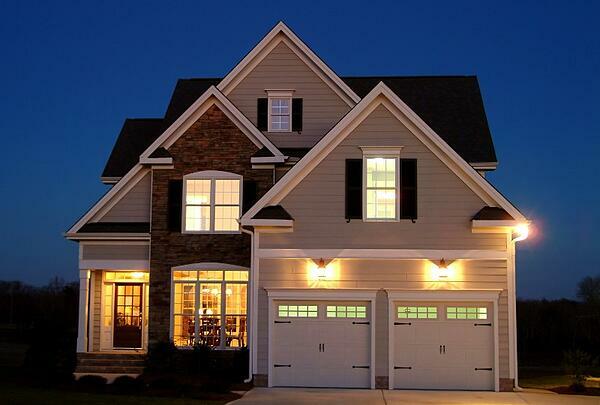 One of the greatest benefits in installing outdoor lighting is to improve home security. By adding bright lights around the exterior of your house, you can guarantee shadows and dark corners that easily hide thieves are brought to light in the late hours of the night. This makes it difficult to break into your home as burglars are easily noticed by neighbors, pedestrians, cameras or even you. Thieves are known to do their homework before attempting a break-in, so installing timers for your lighting or having security lights with customized on and off timer settings are ideal. You can change the scheduled lighting routine and make it harder for an outsider to know when you typically are away. Motion sensor lighting is the best of both worlds as it catches intruders off guard and brings awareness to the setting instantly. The GE Enbrighten Motion LED Security Lights have different settings for how long you want the light to remain on after movement is detected and how far away the detection range should be- up to 70 ft. away and 20 minutes long. This gives appropriate options for every living space as some areas are busy and more populated than secluded areas where activity outside the home occurs more seldomly. Fun fact? If you call and ask, a lot of police departments will perform a free safety check of your home and inform you of weak areas that can be improved for home security! By installing exterior security lighting, you are making an investment to the overall worth of your home. Outdoor lighting is a prime feature and is sure to add to your home's value and provide a higher appraisal if ever to be sold. In addition to your home's worth, adding outdoor security lighting can reduce your home's insurance rates. Because they reduce the likelihood of break-ins, many insurance companies have discounts and deductions off premiums for homeowners that have security lighting outside the house. Ultimately, you can invest to save! 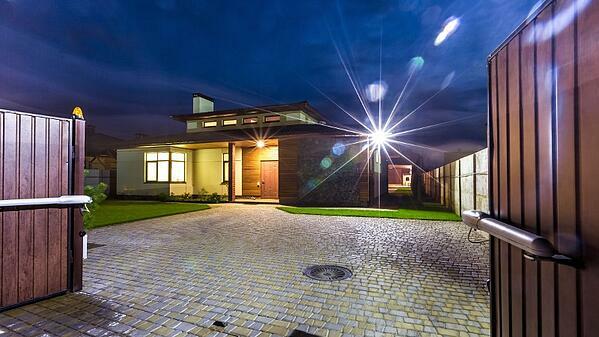 By choosing an LED option for security lighting, the worry of running up a large energy bill can be put to rest. LED lights have much lower voltage than other types of bulbs and omit hardly any heat. This results in energy savings around the clock. By the lack of heat omitting from the bulb, you're also reducing the risk of major fire hazards! 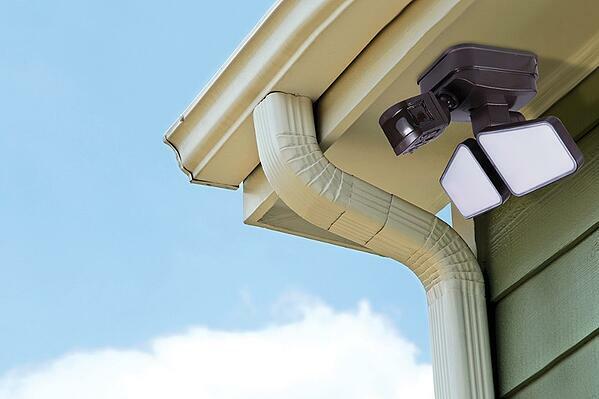 Having LED outdoor security lights can pay off in the long run due to their long-lasting lifespan. You won't have to worry about replacing bulbs that burn out often. The GE Enbrighten Security LED Lights have a 15 year warranty! Although it does help you see at night, security lights serve more purposes and are functional in many other ways as well. Making the addition of installing security lights to your home can positively impact your life in multiple areas immediately and in the future. Subscribe to our blog and stay tuned for the latest and greatest outdoor security lighting info!